It’s winter and apple season is in full swing. This is the time I turn to making my mulled apple cider. Then I thought why not make an instant mix, one I could give away as a fun gift. Enter jars of my Spiced Apple Cider Mix. If you’re up to it, make a few of my other fun drink mixes for a great gift basket idea for family and friends. Now, let’s get on to making this easy peasy Spiced Apple Cider Mix. Measure and pour all the ingredients into a large mixing bowl. Whisk the ingredients until thoroughly blended. Using a canning funnel, pour the mixture into 4 – 8oz jars and label with instructions. Give the jars away as gifts or store them in your pantry. The mix will last up to 6 months. Instructions Label: To serve, place 2 tablespoons of the mix into a mug or cup. Fill your cup or mug with 8 oz. of hot water. Stir until thoroughly combined. Garnish with a slice of apple on the side of the cup or mug and enjoy. Notes: Finding the instant apple cider mix in bulk isn’t easy, so use the boxes of individual packets. You’ll need approximately 27 to 28 packets. 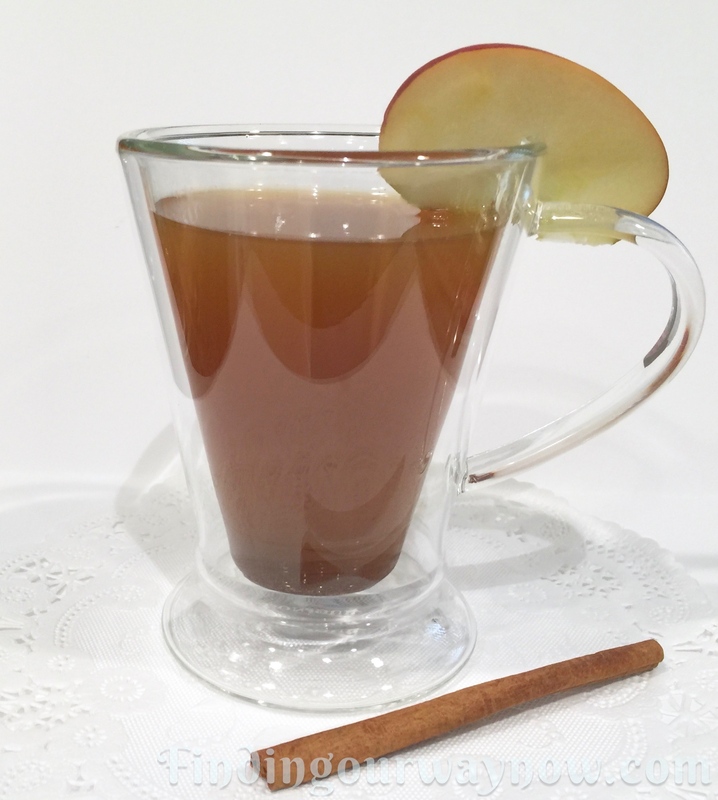 The trick to making a good cup of this Spiced Apple Cider Mix, or any of my beverage mix recipes, is to ensure you get the right ratio of mix to water; 2 tablespoons of mix to 8 ounces of hot water is good. I would suggest that you play with it a bit to get it where you like it. I know you get tired of hearing it, but always opt for the best and freshest ingredients you can. The brown sugar is a bit granular. I would suggest that you grind it a bit in a coffee grinder to give it a finer consistency. 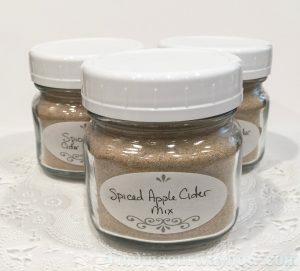 Spiced Apple Cider Mix is yet another one of my hot beverage mixes to enjoy on a cold winter night or just because. Now you have another fun beverage mix recipe to combine with the Homemade Chai Tea Mix, Homemade Hot Spice Tea Mix, Homemade Mulling Spice Sachets, Homemade Spiced Mocha Mix and my yummy Homemade Hot Cocoa Mix for a fabulous gift basket or any occasion. All these mixes are particularly great when a hot beverage is welcome.